Add the finishing touch to your Google Home with a colourful Base. Make your Google Home your own with a customisable Base for Google Home. The detachable base allows you to mix and match to suit your interior decor. Buy a different base for each room! Interchangeable in seconds with the super simple magnetic system. 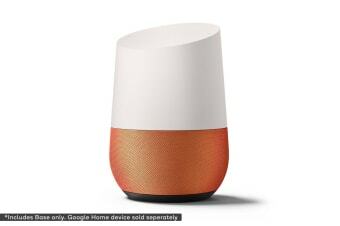 Google Home device not included.